TMK’s HR Strategy is based on TMK’s Business Strategy and is aimed at maintaining and growing TMK Group’s position as one of the world’s leading pipe producers and the industry’s best employers providing competitive employment conditions, employee benefits, and an opportunity to unlock talent and potential for performance-driven employees. TMK’s new HR Strategy was developed in 2017 and addresses the challenges that may directly or indirectly face the Company in its future growth and affect different aspects of HR management. These challenges include, in our view, the growing digitalization of business processes, the first digital generations coming to the labor market, the extended length of working life, higher population mobility, the emergence of new types of employment, and the growing size and influence of social media and other modern information sharing and knowledge acquisition channels, along with their global reach and higher accessibility. Development of an effective talent identification and development system built around TMK’s Corporate University. Further transformation of regional teams into a single corporate community. building trust in modern digital technology, and embedding it into the Company’s existing HR processes. 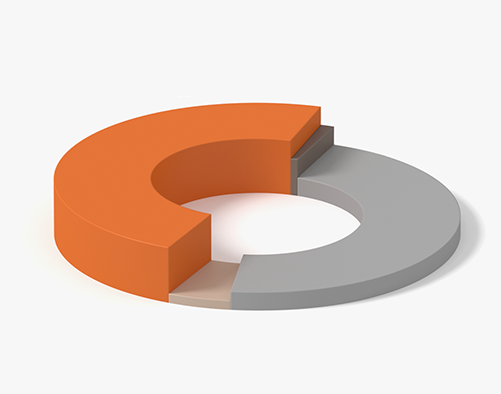 Development of incentive systems aimed to align the interests of shareholders and management. Through our comprehensive approach to building an effective management framework, we were able to reduce TMK’s headcount while increasing employee productivity and performance levels. In the Russian division, cost optimization efforts yielded tangible results in 2017, achieved through the successfully implemented projects to centralize and standardize management structures and business procedures, and establish the Management Company’s units in the regions in which the Russian division’s plants operate. We continued efforts to restructure the Company and divest non-core assets. We also focused on streamlining our business processes, reducing the number of management levels, and further centralizing the Management Company’s functions. The American division’s headcount grew following the dynamic recovery of the US energy sector, which allowed TMK IPSCO entities to increase production at a number of plants and launch welded pipe production facilities ahead of schedule. European division’s headcount was impacted by additional hires ,necessitated due to increased production volumes and changes in the local health and safety laws. The focus in the Middle East division throughout 2017 was on building up an internal talent pipeline and performing TMK GIPI’s obligations with respect to creating additional jobs linked to the award of major contracts. On 01 June 2017, we completed a project to roll out the Unified Remuneration System across all pipe plants within TMK’s Russian division. This enabled transparency into payroll administration, and improved the quality of planning and tracking in respect of labour-related indicators. establishment of a platform for subsequent digitalization of HR management processes. With the Unified Remuneration System successfully piloted, we are now planning its rollout to other enterprises of the Russian division. TMK Oilfield Services and TMK-INOX are to transition to the new system in 2018. Overall, we make sure that our salaries remain competitive in the regions in which TMK’s facilities operate, while making cost-of-living adjustments to salaries provided for in the local legislation, collective bargaining agreements, and industry agreements, based on financial performance of the Company’s divisions. The average pay across TMK in 2017 was significantly affected by fluctuations in the Russian Rouble exchange rate. Overall, the average pay across TMK’s entities in Rouble terms increased in 2017 by 12% year-on-year in Rouble terms, while the Russian division posted a 7,8% growth. TMK’s employees are our key asset that gives us our strategic competitive edge. For this reason, TMK’s HR Strategy encourages its personnel to continuously pursue professional growth by developing their overall professional and personal competencies. In 2017, TMK’s investment in corporate training and career enhancement programs grew by a third from 2016. The establishment of TMK2U Corporate University in November 2017 was a significant milestone in TMK’s history. This is our key employee competence management asset, which provides support for the development of corporate professional standards, personnel recruitment, onboarding, and training, as well as performance assessment and career management. TMK’s Corporate University is the methodology leader and interface between the Company’s different divisions and enterprises as they are getting linked together into a single shared information space. It will also lead the process for building the Company’s HR brand, and become the main platform for employees’ creative activities. Developing Corporate Professional Standards. By building a corporate model of job position requirements, we are able to maximize the performance of all HR processes such as selection, onboarding, certification, training, and managerial and executive talent pool management. The Requirements were approved for all job positions across the Russian division’s entities in 2017. Participation in the development of nation-wide Professional Standards: in 2017, TMK continued to participate in developing nation-wide professional standards. TMK’s enterprises together with the Council for Professional Qualifications in Mining and Metallurgy were the first in the industry to develop six qualifications assessment kits for independent assessment for a number of key qualifications. Best production and management practice sharing: about 250 internships were arranged for the Company’s employees at TMK Group’s enterprises. Improving professional and management competencies of our staff: achieving the target of the Efficient Manager program – in 2017, 95% of managers and executives from production facilities of the Russian division were trained under the program. Managers and senior experts from TMK IPSCO plants participated in the Approachable Leadership Training program, where they learned aspects of assertive communication, employee productivity improvement, and employee retention. Organizing career advising for students. Tochka Opory (Foothold) project organized in the Sverdlovsk Region is key in promoting blue collar jobs among teenagers and helping them with professional orientation. The project brings together educators, industrial enterprises, mass media, parents, and schoolchildren. The total reach of the project is over 2,500 schoolchildren based in the Kamensk District and Kamensk-Uralsky, the Polevskoy District and Polevskoy, and in Verkhnyaya Pyshma. To promote blue collar jobs, we produced animated films highlighting such trades as Welder, Pipe and Billet Cutter, Metallurgical Facility Crane Operator, and prepared teaching aids for career advising classes in schools sponsored by TMK. Improvements to youth programs: in 2017, we held annual corporate events of the Horizons Youth Forum, which were attended by more than 700 employees from across all divisions of the Company. Further cooperation as part of a long-standing partnership with MISiS University: The Company awarded the 6th annual A.D. Deineko scholarship to top students of the Department of Pressure Metal Treatment. Entities across TMK’s divisions follow the principles of social partnership as they seek to balance the interests of all stakeholders. In 2017, the Company maintained the stability and high-performance levels in our teams and ensured strong social partnerships based on collective bargaining. We consider our cooperation with trade unions both in the Russian and in international divisions to be effective. TMK was actively engaged in negotiating and signing the Branch Tariff Agreement for the Mining and Metallurgy Complex of the Russian Federation. In 2017, we continued our Russian division corporate programs aimed at improving health and expanding the range of recreation opportunities for our staff. Over three thousand employees and their family members were offered an opportunity to visit the Westend Hotel Sanatorium (Mariánské Lázně, Czech Republic), the Burgas resort (Sochi), and other resorts and recreational facilities in Russia. The Company promotes healthy lifestyles among its employees and prioritises the health of their children, organizing sports and health events for its employees, sending their children to kids resorts, and presenting them with Christmas gifts and tickets to New Year shows. TMK IPSCO launched a program in 2017 to raise awareness among employees of the company’s performance and of its key areas in social development. TMK IPSCO employees (76% response rate) gave high scores to the facilities’ HSE levels, opportunities for professional development, and employee benefits. In 2017, TMK IPSCO participated in a number of regional initiatives to support education, children, and arts. Social partnership initiatives in the Middle East division take into account the local traditions and specifics to offer employee benefits and guarantees package that maximizes support through provision of medical insurance for employees and their family members, free lunches for the staff, etc. TMK GIPI ran extensive social partnership initiatives in 2017. They included financing childcare centres in Sohar and Liwa, participation in infrastructure projects, and financial support for the initiatives run by the Municipality of Sohar, as well as holding open days for the local college students. 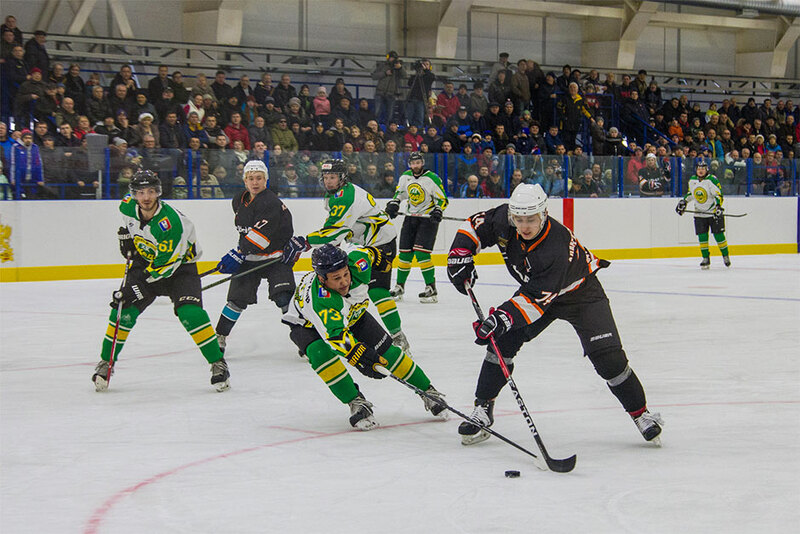 In the European division, we continued implementing the already approved social programs that provide sponsorship support for local and national sports, social, and educational initiatives. TMK-ARTROM’s contribution to the economic and social development of the city of Slatina was recognised with an award by the regional authorities. We build relations with local authorities, local self-government bodies, and NGOs in the cities in which the facilities of TMK’s Russian division operate, based on cooperation, respect for mutual interests, strict compliance with Russian laws and regional and municipal regulations, and strong commitment to corporate citizenship agenda. We use a wide range of non-financial incentives to foster creativity and work ethics among our staff. 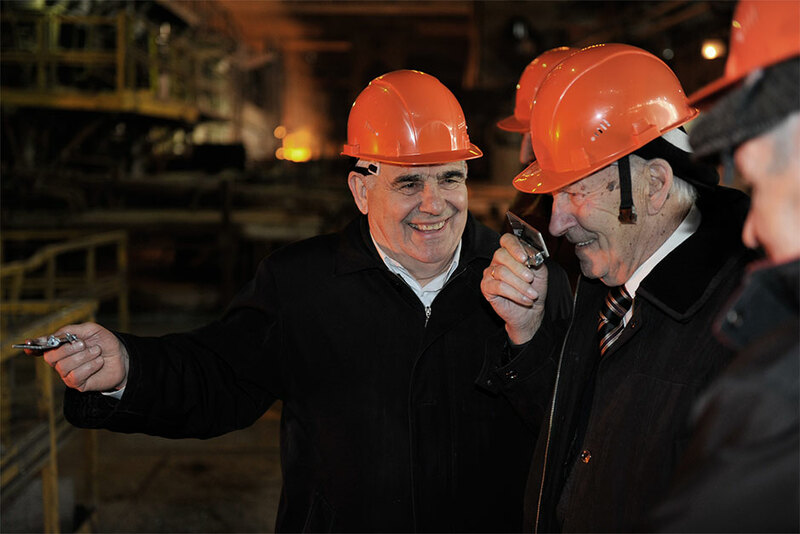 In 2017, 17 Company’s employees were awarded state orders and medals and the title of Distinguished Metallurgist; 65 people received industry awards, including Honorary Metallurgist titles and Certificates of Merit from the Ministry of Industry and Trade of the Russian Federation, and were commended by the Ministry of Industry and Trade of the Russian Federation; 110 employees were recognised with corporate awards, including TMK’s Badges of Merit, Honorary TMK Employee titles, and TMK’s Certificates of Merit. In 2017, TMK conferred Badges for Business Cooperation with TMK and Certificates for Business Cooperation with TMK to 13 representatives of TMK’s partners in recognition of their personal contribution and contribution of their organizations to promoting long-term and mutually beneficial relationships with the Company. TMK makes systemic and consistent efforts to ensure a safe working environment for employees, guided by 2015 corporate-wide policy on occupational health and industrial safety aimed to mitigate risks, reduce injury rates, and spread safe manufacturing practices. The Company’s management closely monitors occupational health and industrial safety across TMK’s facilities. Health and safety matters were discussed in February and August 2017 at the meetings of technical leaders, at the Company’s managing Directors meetings and also at the Board meeting in November 2017. All top managers of the Company were involved in preparing and holding the World Steel Association’s Steel Safety Day 2017 across all production facilities operated by TMK. The event was held by the Company for the second year in a row, and we plan to continue this tradition going forward. The Steel Safety Day 2017 involved not only TMK employees (35,343 people, 32% of whom performed audits) but also contractor employees, whose number more than doubled from 2016 (6,770 people vs. 3,059 people). Measures to identify safety risks associated with key workplace hazards were implemented across all production sites of the Company, representing 83% of our production capacity. The results were summarized during the World Day for Safety and Health at Work held on 28 April 2017 and submitted to the World Steel Association. Following the Steel Safety Day, TMK made efforts to eliminate or mitigate the identified safety risks. All planned actions were completed as of 31 December 2017, and preparations for the Steel Safety Day 2018 commenced. A range of initiatives was implemented across all TMK’s facilities in 2017 to ensure occupational safety and reduce injury rates. TMK’s total occupational health and safety costs for the year stood at $9.2 million. 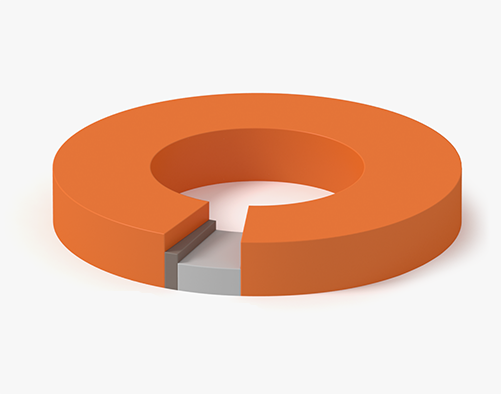 TMK communicating both occupational accidents and results of investigations across all the Company’s facilities, and implementing accident prevention measures. Faster corporate-wide communication of regulatory changes to the Company’s facilities. Certification and audits of the relevant facilities for compliance with OHSAS 18001 and safety requirements (safety audits carried out during the year were passed successfully). Scheduled industrial safety audits of equipment, buildings, and structures at hazardous production facilities. Remedial actions to eliminate identified gaps are implemented according to approved schedules. Distribution of visual guidance materials on occupational safety across all production shops. Drawing contests featuring drawings by children of our employees. The best drawings are displayed in production shops. Scrolling displays with occupational safety warnings are installed on all gatehouses. Reports presenting the findings of a regular survey to promote occupational safety among the staff of TMK’s facilities are heard at meetings of technical leaders. The Corporate Communications Department is involved in a special occupational safety awareness and promotion program run across all TMK’s facilities. Safety assessment criteria, developed in-house, are used to implement the 5S+1 workplace organization method. Employees are provided with all necessary personal protective equipment, special clothes, and footwear depending on their workplace conditions. Scheduled continuous monitoring of operational factors enabling prompt occupational risk assessment, mitigation, and elimination through organizational and technical measures. Regulations on the Group-Wide Occupational Health and Industrial Safety Contest were approved by TMK’s CEO. The contest’s results were summarized at the February 2018 of technical leaders. Workplace safety check lists are rolled out across all facilities, developed in line with the approved methodology. A progress report on this initiative was presented during the meeting of technical leaders in February 2018. Occupational health and industrial safety presentations were made at TMK’s Horizons Youth Scientific and Technical Conference, this focus will continue into 2018. Collaboration with contractors working at TMK’s production facilities to reduce injury rates, with facilities assigning experts to investigate accidents. Contractors were actively involved in the Steel Safety Day 2017, facilitating significant safety risk mitigation. Ensuring safety compliance by facility vehicle drivers entering production sites. Special company-wide facility safety arrangements are being tested as instructed by the Company’s management. TAGMET’s pipe rolling shop implemented these arrangements in 2017 as instructed by the Deputy CEO and Chief Engineer of PAO TMK. Implementation of measures to promote ownership of workplace safety among production employees. These efforts helped reduce injury rates in TMK’s Russian and American divisions; however, two fatalities at the Company’s Romanian facilities brought our overall safety performance below the 2016 levels. Both fatalities were thoroughly investigated with an open discussion of all the circumstances at a field meeting of TMK Group’s technical leaders, and a specific action plan was drafted to eliminate identified gaps and prevent such accidents in the future. TMK’s Russian division pipe plants have a long track record of occupational safety awards. TAGMET came third in a regional leg of the national Russian Organization of High Social Efficiency 2017 contest. The plant was also awarded a diploma at the Russian Health and Safety Week in Sochi (April 2017) as the winner of the best occupational safety innovation competition -Health and Safety 2016 for the Development and Implementation of a Highly Effective Occupational Safety Management System category. Sinarsky Pipe Plant also received a recognition letter from the Governor of the Sverdlovsk Region dated 21 July 2017 for winning the industrial standards and occupational safety contest held in the Sverdlovsk Region (in 2016). Ensuring environmental safety in the context of fast-growing production and stronger economic performance will remain TMK’s strategic priority in the medium and longer term. In its operations, TMK is guided by international environmental protection initiatives and treaties, and complies with local environmental standards and regulations. Our efforts during the year, as in the previous years, were focused on improving the environmental performance of production processes, reducing consumption of water resources, and minimizing the amount of landfilled waste. Financing environmental initiatives helps TMK’s plants to comply with the local environmental protection and safety laws, standards, and regulations. We are consistently managing our environmental efforts to ensure continuous improvement of our environmental performance and manage environmental risks across TMK’s facilities. Eleven of the Company plants have implemented an ISO 14001 compliant environmental management system. All the certified plants were audited and confirmed compliance with the standard during the year. Volzhsky Pipe Plant, Sinarsky Pipe Plant, TAGMET, TMK-ARTROM, TMK-RESITA, and TMK-Geneva were certified for compliance with updated ISO 14001:2015. The remaining plants are implementing initiatives to train staff and update documents to adopt the new standard. Environmental projects are an essential component of the Company’s development programs, including the effective Strategic Investment Program. TMK increased its investment in environmental protection and management initiatives by 2.8 times year-on-year to over $10 million in 2017. During 2017, TMK implemented 23 capex projects to ensure legal compliance and environmental protection. TMK joined a major, nation-wide initiative the Year of the Environment, held in Russia in 2017. Five of TMK’s environmental investment initiatives were included in the Framework Action Plan for the Year of the Environment approved by the Russian Government. We focused our initiatives on the sustainable use of water and minimising the impact of operations on water bodies. The initiatives were included in the quadripartite agreements signed by TMK with the Russian Ministry of Natural Resources and Environment, Federal Service for Supervision of Natural Resources (Rosprirodnadzor), and the regional administrations of the Volgograd, Sverdlovsk, and Rostov Regions. The Company’s spending on these initiatives will total $17 million by 2019, with $8 million already spent in 2017. TMK was awarded the Proactive Environmental Policy during the Year of the Environment award by the Ministry of Natural Resources and Environment of the Russian Federation. TMK’s facilities comply with the legislation covering air emissions inventory, regulation, and control, as well as operations in adverse weather conditions. Our emissions control activities ensure compliance with the prescribed air emissions limits. Our total expenditure on atmospheric emissions control measures was $2.4 million, which funded the implementation of a range of organizational and technical initiatives, improvement of treatment technologies, and routine maintenance and overhauls of treatment facilities. As a result, our total pollutant emissions decreased in 2017 by 10% year-on-year to 11,100 tonnes. We make efforts to ensure a comfortable environment for people living in areas adjacent to sanitary protection zones around our plants. To that end, we both install high-performance gas cleaning equipment and implement noise control measures. In 2017, Seversky Pipe Plant and TAGMET (Russian division), TMK-ARTROM (European division), and Camanche (American division) developed additional measures to reduce noise pollution. Volzhsky Pipe Plant replaced 6,480 bag filters to ensure reliable operation of the gas cleaning system at EAF-150. Seversky Pipe Plant upgraded exhaust hood and gas duct of the exhaust gas cleaning system of the mandrel mill at TPTs-1. SinHPPP (the combined heat and power plant at Sinarsky Pipe Plant) outfitted its steam boilers with stationary gas analyzers for continuous monitoring of O2, CO2, NO2, and SO2 concentrations. TAGMET purchased equipment and repaired its dust control and gas cleaning systems. TMK-INOX launched an upgrade of dust control and gas cleaning equipment at the grinding line. TMK-RESITA implemented a series of measures to improve dust suppression levels. TMK builds its growth strategy taking into account its hydrocarbon footprint, with hydrocarbon aspects incorporated into the risk management system and business processes. We compile an inventory of greenhouse gas (GHG) emissions on an annual basis. As required by the local carbon legislation, European division plants timely submit verified GHG reports and control plans to the regulator, fully complying with the applicable requirements. Russian division plants prepare GHG inventories on a voluntary basis. 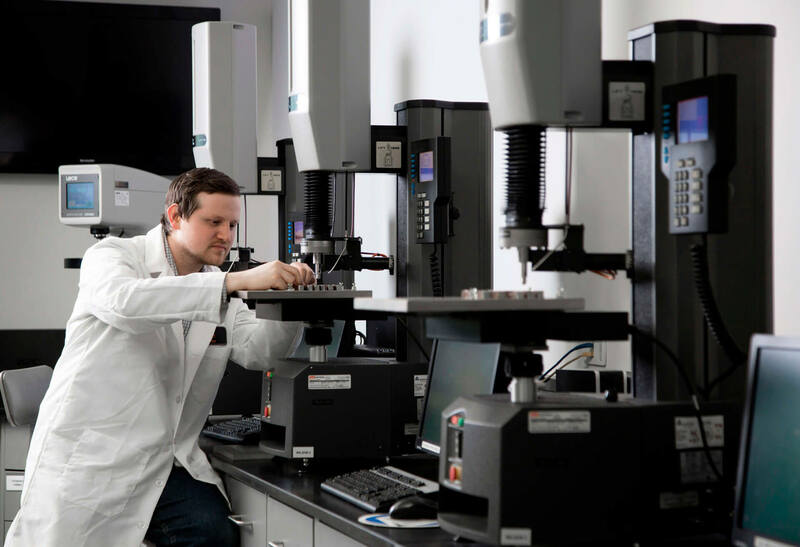 TMK implements measures to improve energy efficiency and reduce fuel and energy consumption, optimizes operations, and upgrades technologies, which resulted in a 2.4% reduction of total GHG emissions vs. 2016. Under TMK’s Environmental Policy, the Company’s water management strategy focuses on reducing water consumption and mitigating negative impact on water bodies. A recycling water supply system is essential for any of TMK’s new, upgraded or renovated facilities. Subject to permits, TMK’s facilities abstract water from surface and underground sources to supply water for production, general and drinking usage, process use, and public needs. Wastewater discharge during the year was within the permitted limits and complied with the prescribed limits of permissible impact on water bodies. Volzhsky Pipe Plant cleaned the wastewater pit at TPTs-3 and reduced the levels of oil sediment in the water discharge. Sinarsky Pipe Plant implemented a range of technical and organizational measures to reduce fresh water consumption and wastewater disposal and discharge. 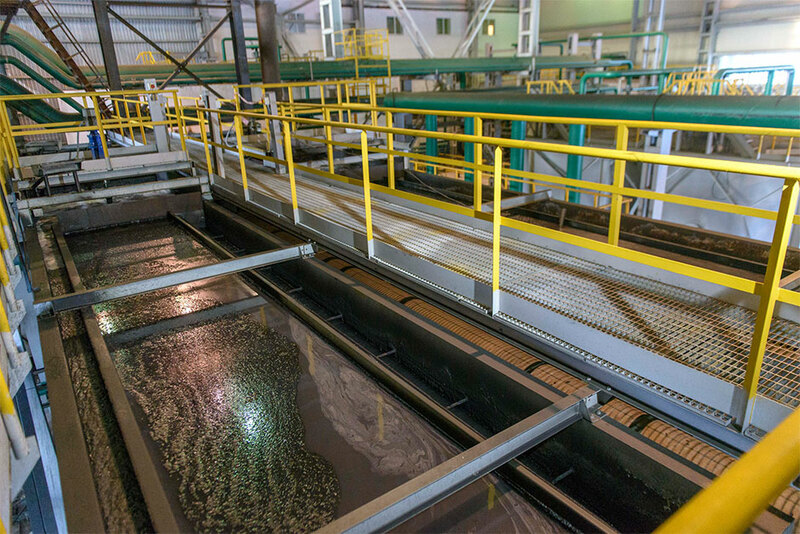 Seversky Pipe Plant upgraded its wastewater treatment systems, including cleaning bottom deposits in the biological treatment system, use of chemical wastewater treatment, and stocking silver carp and grass carp in botanical sites, resulting in improved disposed wastewater treatment. TAGMET repaired and cleaned its fish-protection systems, preventing negative impact on aquatic biological resources. The Koppel plant improved its disposed wastewater quality control system, and upgraded the blooming mill filtering system to capture solid particles. The existing industrial waste management system is focused on practical procedures to reduce, recycle, and reuse waste, as well as reduce waste disposal. Our production and consumption waste management is in line with approved industrial guidelines and standards in place at TMK’s facilities. Volzhsky Pipe Plant and Seversky Pipe Plant developed and rolled out specialized industrial waste management software solutions. Our waste disposal and temporary storage sites are subject to industrial environmental monitoring. TMK contributes to the Government efforts to fulfil Russia’s obligations under the Stockholm Convention on Persistent Organic Pollutants ratified by the Russian Federation. The Company developed a Program for Disposal of PCB-Containing Equipment (equipment containing polychlorinated biphenyls). TMK decommissioned (and transferred for disposal) a total of 951 units of PCB-containing electrical equipment in 2017 (15 transformers and 936 condensers). Sinarsky Pipe Plant reclaimed basins 2 and 3 of its sludge collector to recover 8.66 hectares of disturbed land. Volzhsky Pipe Plant is building a new waste disposal pit for hazard class 4 and 5 wastes, and implemented a landfill operation area greening project. TMK-ARTROM upgraded its sludge filter press and chip storage unit to prevent soil contamination. Through sponsorship and charity, TMK seeks to foster a favourable social climate in the regions hosting our plants. 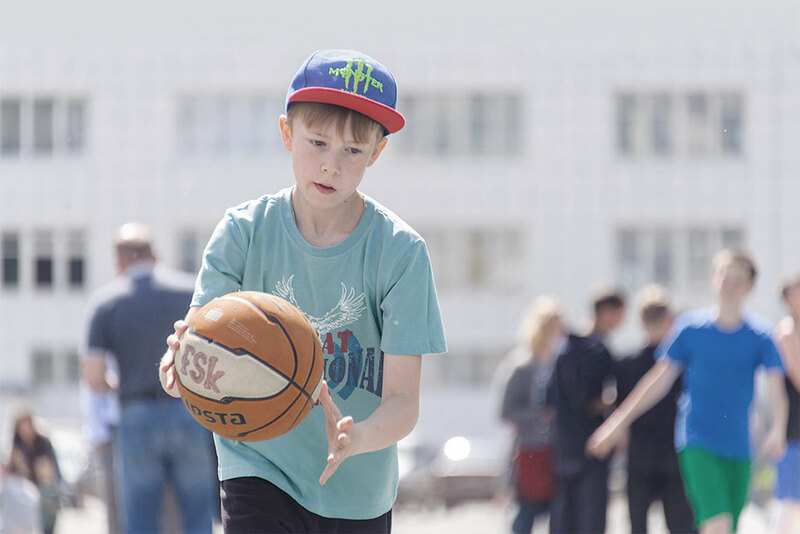 TMK has been implementing its charity projects in the Sverdlovsk Region via a professional operator – the Sinara Charity Foundation, and in the Volgograd, Orenburg, and Rostov Region via the Company’s plants. By implementing joint long-term programs with non-profits, we support the grant-based formats of charitable activities, and actively develop our corporate citizenship initiatives. We mainly focus on supporting social initiatives by non-profit organizations in health, education, culture, and sports on a project-by-project basis. Provided financial support to 71 non-profit organizations, including 33 through various grant competitions. Supported the 20th Sinara Charity Foundation grant competition, and an open competition of social programs Twelve Civil Initiatives of the Urals Federal District – initiatives addressing social issues and enhancing social stability in the region. Continued Tochka Opory (Foothold), a career advising project which has benefited 1,500 high-school students from 40 schools across the Sverdlovsk Region, with more than 500 events held as part of the project (tours, “live lessons”, TV programs dedicated to basic trades, training for educators, etc.). Held a two-day Career Quest in the Samotsvety health camp bringing together all winners of the project’s previous stage. Held the #PROFSTART event for students from schools in Polevskoy, where over the course of one-week children were provided with an opportunity to talk with industry professionals, take psychological tests, and explore future careers. A total of 26 classrooms for industry-related programs have been equipped in the winner schools over the three years of project’s existence. Over 70 teachers were trained in the Theory of Inventive Problem Solving (TRIZ) method and received the relevant certificates to teach students using innovative methods. We purchased medical equipment for 30 pre-school institutions in the Sverdlovsk Region as part of the Rostochek program aimed to support pre-school institutions. Together with the Sverdlovsk State Philharmonic, we implemented a social and cultural project, Great Music for Little Hearts, benefiting residents of eight orphanages across the Sverdlovsk Region. The Philarmonic performers held four interactive classes on classical music and instruments in each of the participating orphanages. We held the first Chudo Yarmrka charity fair in collaboration with the Yeltsin Center. All proceeds from the charity fair were spent on building a sensory room for children with Down syndrome. Launched a grant program in collaboration with Provincial Dances Theatre to train coaches in the Danscription dance lab. Implemented a grant program for artists based in the Urals region, who presented nine art projects as part of the Ural Industrial Biennial of Contemporary Art main program in Yekaterinburg. Held a series of meetings and friendly football games with the Ural Football Club for residents of orphanages. TMK continues to develop its Corporate Citizenship project, which involves employees of TMK’s plants in donor campaign to help children with serious blood diseases, collect childcare products for orphaned babies, and provide New-Year gifts to children deprived of parental care and living in orphanages or social shelters. took part in Bezhim S Dobrom (Run for Good) charity runs, and a bicycle race to raise funds for the Daily Charity project helping children with cancer. All Russian plants operated by TMK run charitable programs and campaigns, and consistently provide aid to veteran organizations, as well as to children’s and healthcare institutions. TAGMET has traditionally participated in the nation-wide Pod Flagom Dobra (In the Name of Kindness) charitable campaign to raise funds for seriously ill children in need of expensive treatment. The plant also held a charity event to support victims of a fire in Rostov-on-Don, and supports local orphanages in holding celebrations, raising funds, and making renovations. Volzhsky Pipe Plant has been actively supporting healthcare institutions by purchasing specialized equipment, and providing assistance to educational institutions. The Council of Young Pipe Manufacturers of the plant provides aid to the Volzhsky Baby House, the Nadezhda Centre for Rehabilitation of Children and Adolescents with Disabilities, the Cheremushka Childcare Centre for Visually Impaired Children, and to WW2 veterans. 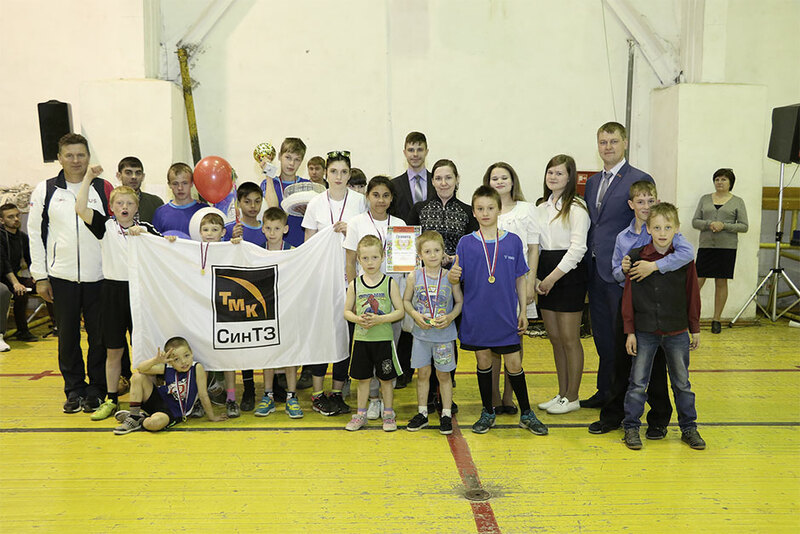 Sinarsky Pipe Plant holds regular patriotic education events for young people including municipal level tournaments in football, hockey, swimming, volleyball, boxing, shooting, and chess. The plant also organizes concerts and theatrical performances for employees’ children and orphans. The plant also provided sponsorship aid to 18 educational institutions in Kamensk-Uralsky during the back to school season. 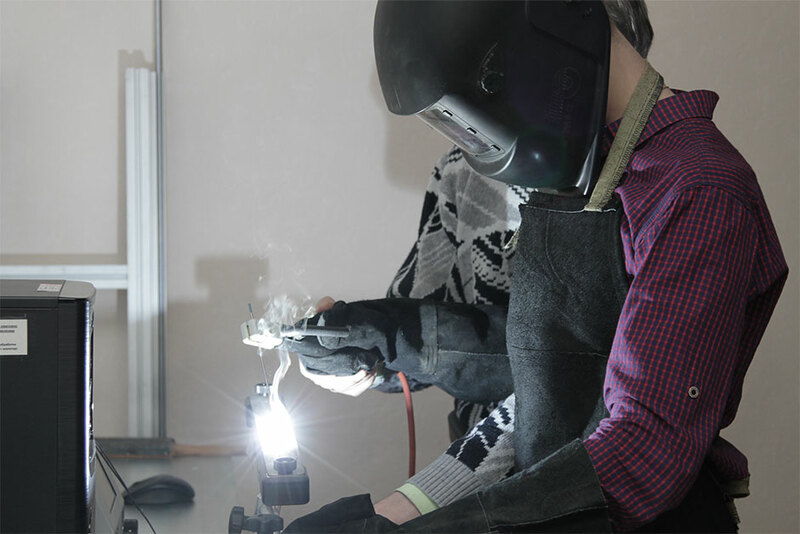 Seversky Pipe Plant focuses on developing educational programs in Polevskoy, and collaborates with the local education department, administration, colleges, and schools on career advising initiatives. Orsky Machine Building Plant supported a track and field competition and a charity football game with residents of Children Orphanage state public educational institution. The plant employees also donated gifts to first-grade students from disadvantaged families via the Oktyabrsky District Administration in Orsk. TMK’s American division supported campaigns to collect toys and school supplies for children from disadvantaged families in Texas, took part in the fundraiser cancer walk Relay For Life, and provided financial support to the Museum of Fine Arts in Houston. TMK’s European division supports local non-profit charitable organizations. TMK-ARTROM employees took part in a number of blood donation campaigns. TMK GIPI of TMK’s Middle East division supports social and infrastructure initiatives run by the Municipality of Sohar. It is also involved in providing support to disadvantaged families and financing child care centres in Sohar and Liwa. the TMK-TAGMET Sports Club, based in Taganrog. We also support amateur teams representing TMK’s entities in various sports competitions, including in children’s, youth, and adult sports.